Please note that the Live Demonstration uses Simple Machines 2.0 Final. 5 years 11 weeks ago. 5 years 45 weeks ago. 5 years 48 weeks ago. 6 years 10 weeks ago. 6 years 47 weeks ago. 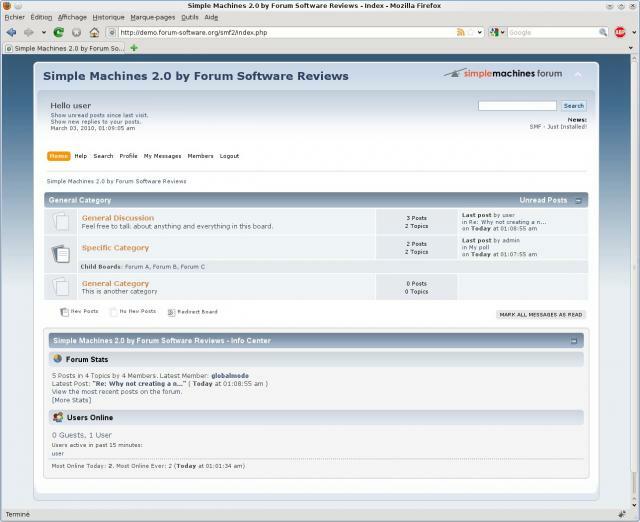 Need to Host your Simple Machines 2 Forum? You like Simple Machines 2? A problem with Simple Machines 2? You know a good Tutorial Screencast of Simple Machines 2?